Pregnancy is an important time in your life. You need to take good care of yourself and your child. 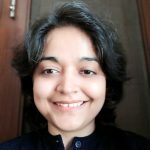 Many crucial points need to be considered when it comes to pregnancy and eating right, eliminating drinks and smoking and taking good care of yourself are some of these. Watching out for diagnostic X-rays and medical radiation procedures are also essential. Understanding the factors that come into play is important. X-ray exposure during pregnancy can have serious issues. Diagnostic x-rays can provide life-saving data about medical conditions. But like any other aspect, x-rays have both positive and negative sides to them. Diagnostic x-rays should be used only when the doctor indicates this information is required for treatment. Diagnostic X-rays can be needed if your medical condition warrants. The risk carried by X-ray exposure, according to some medical experts, is very less. But even such small risks can prove disastrous in the long run. 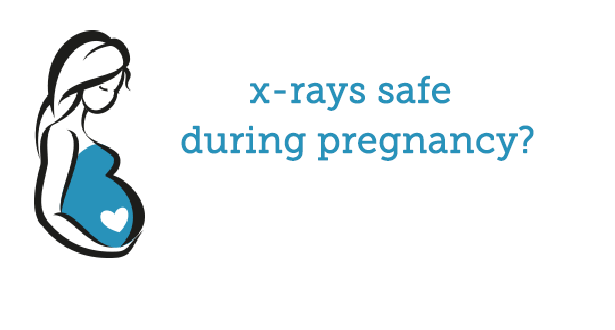 Reduce the risk of the X-ray by informing that doctor that you might be pregnant. This is more so when the abdominal X-ray is being prescribed. The doctor can then decide whether to cancel the X-ray or modify it to reduce the amount of radiation. Depending on medical needs, the risks may be small but it is the doctor’s call to decide whether the X-ray should be done. During X-ray examinations, including those of limbs, chest or face, the reproductive organs are shielded from the X-ray beam. So these procedures do not involve any risk to the unborn child. X-rays of the lower torso of the mother such as the abs, stomach, lower back, pelvis or kidneys may expose the child to direct beams. These are a bit difficult to handle. There is a scientific debate about whether lesser amounts of radiation can impact the unborn child or not. The unborn child is sensitive to the impact of certain stimuli such as alcohol, drugs, and radiation. Cells divide rapidly and grow into specialized cells and tissues. If radiation causes the modification in the cell division, these could lead to birth defects right away or medical conditions later in life. Numerous birth defects and diseases in children may occur even if mothers are not exposed to radiation and other factors like heredity play a role in these problems. If you have undergone an X-ray before the possibility of pregnancy is known, don’t fear this. Rare situations in which women receive abdominal x-rays over a brief period of time or radiation treatment of the lower torso was undertaken can be dangerous. Telling the physician about the pregnancy is a must. This is true for other medical decisions such as nuclear medicine techniques and drug prescriptions. Women may also mistake symptoms of pregnancy for disease and in case you have these symptoms, even then, telling the doctor is a good idea. Don’t hold a child against the X-ray if you are pregnant and ask for a lead apron to protect your organs– it is better to be safe than sorry. When the X-ray is recommended, tell the doctor about similar X-rays that have taken place earlier and use these records instead of going for a fresh one. The Final Question is how to lower the risks? It depends on the type of X-ray you need and the radiation you are being exposed to. The higher the level of radiation, the greater the risk is to the unborn child. X-rays targeting other parts of the body such as dental and chest X-rays are not high enough to cause a radiation problem. Another factor in the equation is whether one is in an advanced or early stage of pregnancy. Risks from damage by radiation are more during the first trimester. A fetus is at risk for exposure as cells are rapidly dividing and growing. In advanced stages, there are more chances of birth defects and cancers like leukemia. Although X-ray risks are low, postponing the X-ray may be needed until after the child is born. If X-rays are critical, doctors will see to it that the radiation is within the right range and the radiographer will know about the pregnancy and shield you. If you are a cancer patient, check with the oncologist during your pregnancy to study the possible complications from radiation. Getting an X-ray during pregnancy, under certain situations, can damage the baby. A healthy mother means a healthy child. According to the American Academy of Family Physicians, X-rays cannot damage the unborn child. But studies have shown otherwise. Health care providers and even numerous medical practitioners may be called to weigh the risks against the rewards. According to the American Radiology College, single diagnostic X-rays cannot harm your child whether the baby is in embryo or fetus state. Some common diagnostic procedures include head, chest, CT, and abs Letting the healthcare provider know about the pregnancy is vital, but so is making a judgment about whether the X-ray can harm your baby. Abdominal X-rays can damage the unborn child depending on the dose of radiation and the stage of pregnancy. X-rays are short radiation bursts passing through the tissue of the body. Depending on the type of X-ray and tools used, and the person’s size, the dose or level of radiation can vary. In X-rays, the dose of the radiation is measured in milligrays. High or repeated exposure can impact the baby’s physical and mental health. With low dose X-rays below 10 milligrays, the increased risk is just 1 in ten thousand. With a higher dose of 10 mGy or more, the risk remains below 1 in 1000. With most X-rays, the unborn baby may receive 1 MGY at most. Dental X-rays are not requiring lead aprons and the dose is low leading to very little risk for your unborn child. The angle of the X-ray can also influence how much damage results. Even if your pregnancy is not confirmed, make sure you tell the health care professional before the X-ray is carried out. This can make a big difference to the safety with which X-rays can be carried out while you are pregnant. X-rays During Pregnancy: What’s The Impact? A common topic of research for many years, x-rays and pregnancy have been studied in detail in terms of a correlation or a link. While the American Academy of Family Physicians asserts that these are generally safe, getting an x-ray during pregnancy can be harmful in some cases. There are many controversies and debates surrounding whether x-rays can be harmful to pregnant women. There are no direct answers. But it is important to remember that x-rays can offer life-saving data to healthcare providers and the baby can be medically treated for problems and disorders in a crucial time. The studies revolving around the subject can have results that conflict, so you need to decide if the benefits are more than the risks. Will X-Rays During Pregnancy Impact the Baby? A diagnostic procedure involving x-ray exposure during pregnancy may or may no harm the developing child. It all depends on the strength of the x-rays, which is measured in rads. There are units reflecting how much the body absorbs radiation. Most normal x-rays are generally below 5 rads. However, there are chances of more than 10 rads exposure for unborn babies resulting in learning disabilities, issues in eye development and much more. So the strength of the x-ray radiation is a crucial factor impacting the baby. A standard safety precaution centers around ensuring the x-ray procedure one plans to go through is under 5 rads, at maximum, to keep the baby safe. As per the American College of Radiology, several types of research indicate a single or one diagnostic x-ray does not cause the radiation that can impact the developing fetus or embryo. Healthcare providers need to be sure that having an x-ray recommended by doctors at the time does not impact the unborn fetus. The x-rays taken during the period may not expose reproductive organs, so there is no requirement to worry about this aspect. The only exception is abdominal x-rays. The risk of this x-ray is because high doses of radiation can impact the child’s chances of developing birth defects. It is critical to remember that only high-strength radiation can impact the child. What To Do When X-Ray Exposure Precedes Pregnancy Confirmation? What is the most essential step you need to take to protect yourself in the event of accidental exposure to x-rays even before you know of your pregnancy? Any exposure of x-rays is harmful so it is best to consult healthcare practitioners for guidance. Medical radiation physicists can develop ways to calculate radiation exposure on the fetus or unborn child. A critical concern is to inform health practitioners about the pregnancy. There are side effects associated with x-rays and pregnancy, but only when the exposure is to a higher level of radiation. So seek professional guidance before opting for x-rays at the time of pregnancy. How Does X-Ray Radiation Impact the Body? Radiation is an energy transmission in the form of particles or waves. The strength of the energy can vary from extremely weak to really strong. When most people consider radiation, they are under the impression that it means strong, dangerous exposure. But, it is important to remember that radiation can be categorized as weaker or non-ionizing and stronger or ionizing. Ionizing radiation is a kind that is strong enough to damage molecules and atoms. UV waves, x-rays, gamma rays can be on the higher end of the electromagnetic scale breaking chemical bonds. Nonionizing radiation is weaker radiation. It heats up molecules. Examples of these include infrared, light, and even microwave radiation. Are Ionizing Radiations Harmful to Embryos? While radiation exposure may vary in rads, according to the American Family Physician, x-rays below the level of radiation exposure proved to impact embryos or fetus, may impact during the earliest, most vulnerable pregnancy stages. The fetus is most susceptible to radiation at the time of organogenesis around 2 to 7 weeks post conception and in the early fetal period, 8-15 weeks post conception. Typical x-rays at any body part are dangerous for the fetus. Consider that an abdominal x-ray exposes fetuses to an average of 0.29 rads. A pelvic x-ray is only slightly more at than a value of rads of 0.34. As per the research, doses of 5 rads or lower do not raise the risk of losing a pregnancy or hindering fetal development. There is no detection of effects seen at gestation stages less than 5 rads. Levels of exposure approaching or exceeding 5-rad thresholds are the result of aggressive radiation aimed at destroying cancer, which averages at 200 rads or a reactor core meltdown which can be deadly. It takes an annual dose of 10 rads before the potential for cancer can be detected. A radiation dosage level above 5 rads is considered an excessive amount of radiation exposure. It needs to be examined further. As per the Centers for Disease Control & Prevention or CDC, doses from 5-50 rads can cause an increased risk of embryo death. In fact, in the event that exposure occurs within the first 5 days following the conception, embryos may fail to attach to the uterus. Major malformations can occur independently of radiation exposure at 3 percent of all pregnancies. The x-ray exposure of fewer than 5 rads between the 2nd and 4th week of pregnancy does not raise the risk of birth defects, as per the US National Council on Radiation Protection. After this period, the risk of birth defects or malformation does not increase below 10 rads of exposure. These threshold numbers also appear consistent in relation to long-term issues like childhood cancer and low birth weight. At 5 rads or more of exposure, the risk increases somewhat. Close to 0.3% of children develop cancer irrespective of x-ray exposure. At the 5 rad threshold, the percentage is around 1 percent. What Preventative Measures Should Pregnant Women Take? The most vulnerable time for pregnant mothers is before they know they are pregnant. So, from conception to implantation and organogenesis, fetal tissue is delicate. Once a woman learns she is pregnant, she needs to take care of recent radioactive exposure so doctors can make better decisions about whether further x-rays are safe. For most pregnant women, the risk of harmful radiation impacting the baby is low. Sonograms and low-strength, routine x-rays are safe for the baby and impact prenatal medical care in a positive manner. Pregnancy is an important time to take care of oneself and one’s an unborn child. Most things are important during pregnancy such as being careful about eating right, avoiding alcohol or smoking and being careful about every medicine you take. Diagnostic x-rays and other medical radiation in the abs area, however, must be carried out with extra care. Diagnostic x-rays can provide life-saving medical data. But these x-ray procedures have their own risks. While abdominal x-rays may not be required during pregnancy, because of particular conditions, doctors may feel diagnostic x-rays of abs or lower torsos are needed. The risk to the unborn child is small and the benefits of curing your medical problems before the due date are greater. The risk of not having the treatment the x-ray would entail can even be dangerous for your baby. The risks can be lowered if the doctor is informed about your pregnancy before taking an abdominal x-ray. If one is pregnant, the doctor may decide whether it would be best to cancel x-ray exams, postpone these or modify it to reduce radiation. Depending on medical requirements, and the risks, it is best to proceed with the x-rays as planned. During x-ray exams, like the arms, head, teeth, legs or chest, the direct x-ray beam does not reach your reproductive organ directly. So, these procedures do not involve risks to unborn kids. X-rays of the mother’s lower torso, though, are important to consider. There is a lack of scientific consensus about whether small amounts of radiation used in diagnostic radiology can harm unborn kids. But it is well documented that a developing fetus is sensitive to the effects of drugs, alcohol, infection and even radiation. This is because the cells are rapidly dividing and specializing in cells and tissues. If radiation or other agents cause changes in cells, there could be an increased impact of birth defects or illnesses like leukemia later in the child’s life. But it should be clear that major birth defects and diseases occur even when mothers are not exposed to x-rays during pregnancy. Scientists hold that random errors in development and heredity are most responsible for these issues. The possibility of harm to unborn kids from an x-ray is small. There are rare situations where pregnancy is something a woman is unaware of during the exposure to x-rays. Under these circumstances, where treatment involves radiation of the lower torso, women need to discuss their concerns with doctors. Tell your treating doctor about your pregnancy, because it impacts not just x-rays, but drug prescriptions and nuclear medicine processes as well. This is truer in the early stages of pregnancy. When it comes to symptoms of pregnancy like fatigue, nausea, breast tenderness, and vomiting, these are common indications and must be reported to the x-ray technician before having an x-ray of the lower torso. A pregnancy test may also be required. While the American College for Obstetricians and Gynecologists considers dental x-rays safe for pregnant women, other types of x-rays and their impact are debatable. If you are pregnant, research online for potential recommendations for pregnant women. Be sure you are properly protected at the time of the exam. If a diagnostic x-ray is recommended, remember that life-saving information can help your doctor to work through the benefits and risks. Abdominal x-rays during pregnancy should be taken seriously, though the US FDA holds that risks to unborn child and mother are extremely small. Most x-rays, especially of the arms, head, teeth, chest or legs don’t exposure reproductive organs to radiation. To avoid scattered radiation, leaded aprons and collars can also be worn. The risk lies in abdominal or ab centered x-rays, which expose the abs and the baby to direct x-ray beams. The risk of harm or disease to unborn child depends on the gestational age and amount of radiation one is exposed to. Exposure to high doses of radiation early in the pregnancy can result in miscarriage or impact the developing fetus in small ways. 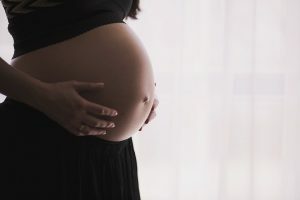 Exposure to high dosage of radiation between weeks 2 and 8 of pregnancy raises the risk of fetal growth malformation or birth problems, while exposure after the 8th week increases the risk that the baby will have a learning and intellectual disability. A typical dose of a single radiation exposure linked to diagnostic x-rays is much lower than the higher dose linked with complications. Exposing the body to harmful substances in the earliest weeks of pregnancy can damage the human embryo. While high doses of radiation can be dangerous, in a vast majority of cases, in most cases radiation exposure during x-ray is not enough to harm or impact the developing embryo. But you do need to check with your doctor, in case you have an x-ray in the first 4 weeks of pregnancy. While the baby is exposed to radiation, doses of less than 5 rads are not known to cause short term damage to embryos. Conventional x-rays expose developing babies to far lower radiation. According to research conducted by the American Journal of Roentgenology, in 2004, doses of less than 5 rads do not increase the risk of losing the pregnancy. Radiation doses between 5-50 rads, on the other hand, cause a greater risk of death of embryo or failure of the embryo to implant in the uterus, as per the CDC. Massive malformations in a developing embryo take place in a spontaneous way in 3% of all pregnancies, with or without X-ray radiation exposure. X-ray exposure of fewer than 5 rads between 2nd and 4th week is harmless. The risk of congenital or birth defects increases when pregnant women are exposed between 10 to 20 rads, as per the CDC. 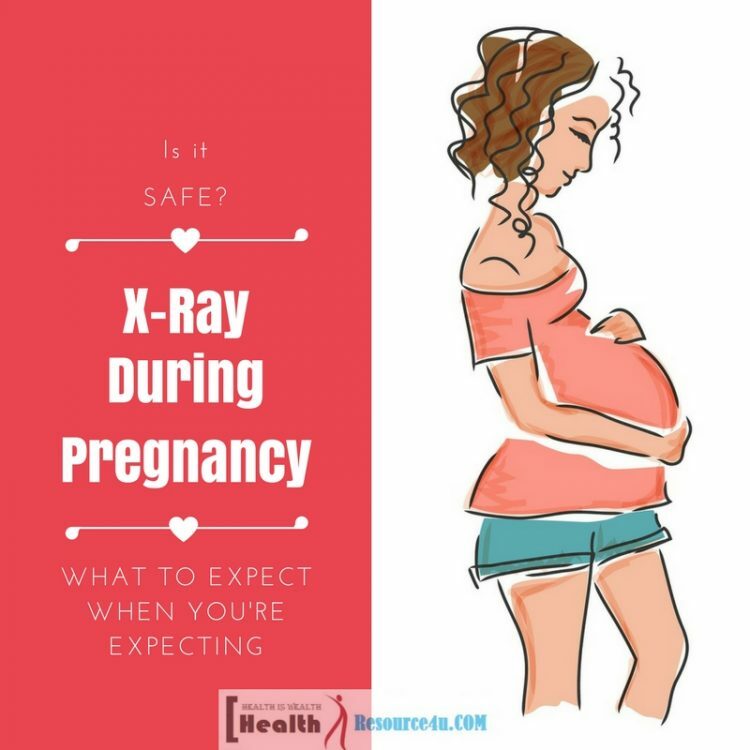 X-ray exposure in early pregnancy can result in decreased growth of the fetus, only if the fetal development is exposed to anywhere between 5 and 50 rads, as per the CDC. The x-rays result in increased risk of cancer for the baby. For some time, it is being debated whether x-ray exposure during pregnancy is dangerous or not. The 2 biggest issues which require diagnosis using an x-ray imaging in pregnancy are the location of the imaging and length of gestation. It is important to note women don’t receive x-rays all the time. As per the ACR/ American College of Radiology, for those having an x-ray prior to conception, there are zero risks of any complications. But if the x-ray is received in week 3 or 4, the risks are zero at less than 10 rads, probably. Greater than 10 rads increase the chances of miscarriage. In weeks 5 to 10, the x-ray exposure between 5-10 rads may prove to be subtle to be actually detected. However, over 10 rads, the chances of malformations increase with dosage. In weeks 11 to 17, at a 5-10 rad dose, potential effects are uncertain and undetectable. Though ACR reports that over the 10 rad mark, the IQ damage can increase with exposure. Once weeks 18-27 are hit, x-rays are not an issue unless one hits a dose greater than 10 rads. After week 28, exposure to x-rays has the same risks for babies and mothers alike. Doses less than 5 rads are always considered medically safe, though. The bottom line? If you need an x-ray for treating a medical condition, while pregnant, it is probably safer for you and your child to take the chance, provided proper shielding precautions are taken! Ultimately, when you are expecting, it is expected you will exercise every caution and this includes X-rays. Make sure you do not gamble with the future. Inform your healthcare professional about the pregnancy so that he/she, in turn, can make an informed decision regarding the same.